WHAT ARE AIRDROPS IN THE CRYPTO WORLD? Airdrop to the modern man in the cryptocurrency world Is a vocabulary which means the process whereby an enterprise distributes cryptocurrency tokens to the wallets of some users free of charge. At some point in time airdrop may be decoded wrongly as money dropping from the air or anything sucre levitating in the air but this is not the true image of what airdrop means in the crypto world. Since the god of steemjet @dimimp has cut off the steem adoption vision and embark on a new route of teaching cryptos and music; the creation of steemjetdrops was triggered and birthed. Pre-airdrop is done to bootstrap a new project as the name implies it is an airdrop done at inception of a new blockchain wannabe and they are affiliated with online tasks, like; "follow us on twitter, Facebook, telegram, steemit, discord and drop any recommended wallet address that suits the project E.g: erc20, nem, waves wallet etc(non-exchange or trading address) to receive your free token". Post-airdrop simply means token given out to old and current users of a blockchain-based enterprise already existing; in most cases most airdrops in this format comes as a surprise. All blunt knowledge will be sharpened with our goals and vision by "teaching and attaining crypto adoption" which will be made known through our blog post." cryptocurrency in exchanges, trading, and wallet services provider platforms use airdrop as a means of rewarding customers which serves as incentive that assures continued patronage on the platform. To hype the platform; hype and buzz play critical role at the inception of a new cryptocurrency, by creating notice which boost the substantial marketing campaign of the enterprise in the digital world; a great way to get people interested about the blockchain with maximum respond. Go full time on Certify airdrop by bringing it's awareness to the public since airdrop is all about filling our wallet with free tokens which also clones the trademark of dimimp's heart who wishes to make us his friends rich through crypto adoption. Support all cryptocurrency development with votes and resteem. Our watch word will be focused on bringing certified and authentic airdrop to our audiences; explaining the dos and don't on the new cryptocurrency. Lastly when venturing into airdrops it is of great importance to be security conscious as some airdrop are initiated to fraud people, hack wallets and steal private keys therefore always confirm the authenticity of a cryptocurrency airdrop campaign before participating in it. 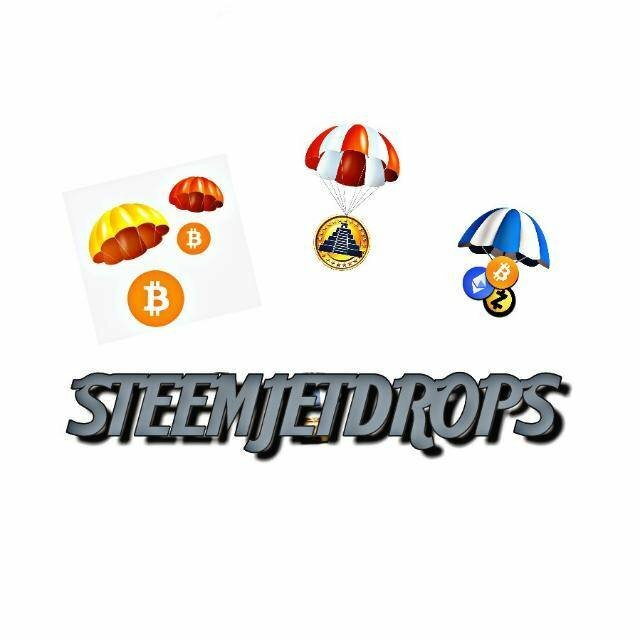 @stemjetdrops account is a great initiative because being free cryptocurrencies, airdrops can be instrumental in helping an individual have a wide crypto portfolio. And it will also give some sort of financial freedom as these tokens and coins can be sold to ease off various burdens. Just as you say, we don't want our friends to be broke. Airdrops will afford a source of income for the participants. So we're coming all out @dimimp to request for your support on this wonderful project @steemjetdrops. We will need all the support we can afford in terms of steempower and steem. We want to make this a success and a big thing! We believe you'll grant our request for support so we can make this a success. Thanks. Steemjetceleb is now hosting a logo contest, follow the link below to participate. This post has received a 4.95 % upvote from @booster thanks to: @steemjet-airdrop. Recently, some users made an exchange price privately for NPT. Glad to know you are into airdrop.